For October and Taco Tuesday, which just so happens to be today, we’re featuring wild game taco bowls. These bowls are one of our favorites, and go-to easy recipe for any night of the week. First, you’ll want to pick your favorite ground wild game. For us, we like to use ground elk. Ground elk tends to be really lean, high in protein, and high in iron, all vital for your daily nutrition. However, no matter the choice of ground meat you won’t be let down by this recipe. Without further ado, enjoy! Heat olive oil in a non-stick skillet over medium-high heat. Add garlic and saute for 30 seconds, or so. . . do not burn the garlic. add wild game and season lightly with salt and pepper. 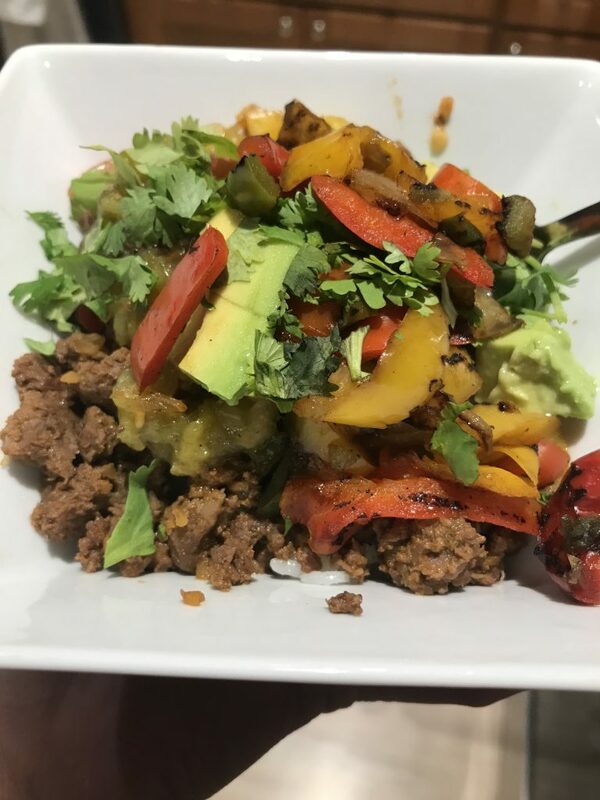 To assemble bowls divide rice among bowls, top with ground meat, fajita veggies, cheese, avocados, pico, sour cream, cilantro and serve with limes.